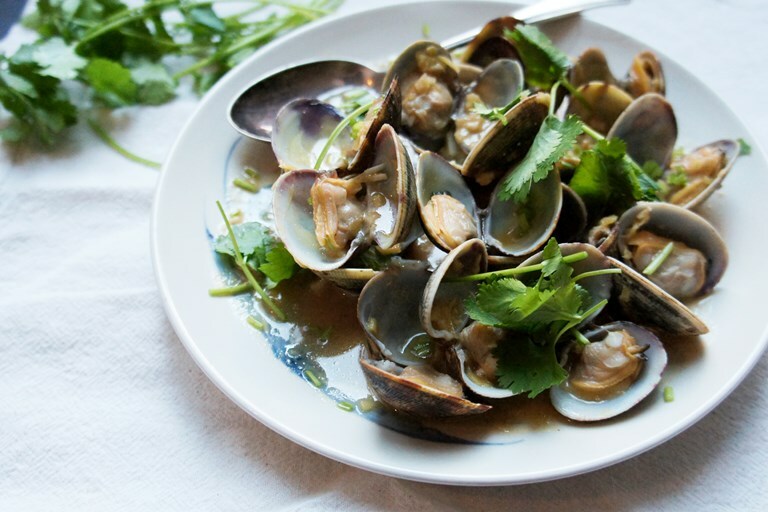 Shu Han Lee's gloriously simple clam recipe is paired with an aromatic blend of ginger, red miso and coriander for a tasty and speedy Japanese influenced supper. Serve with plain white rice to soak up all of the wonderful cooking juices. 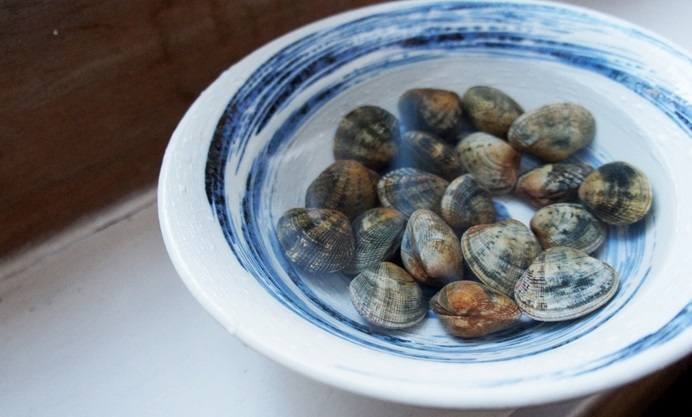 One of my favourite things to cook is fresh clams. They have such wonderful flavour that you hardly need to do anything else except chuck them straight into a pot with a little splash of wine and in this case, a dollop of red miso. 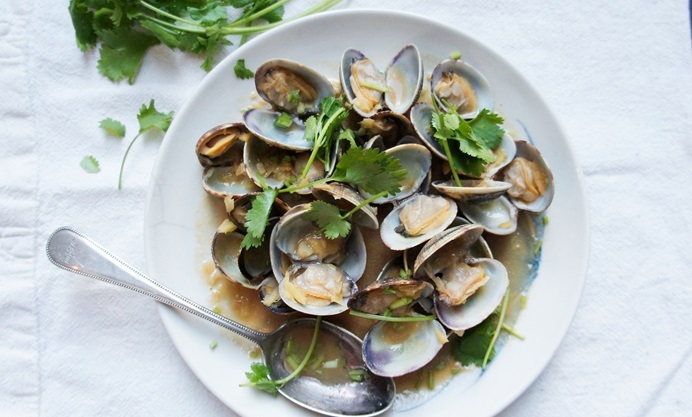 Rich and savoury red miso is the perfect complement to clams. The clams steam, releasing the salty-sweet flavour of the sea that combine with the wine, miso and aromatics to create a delicious broth.